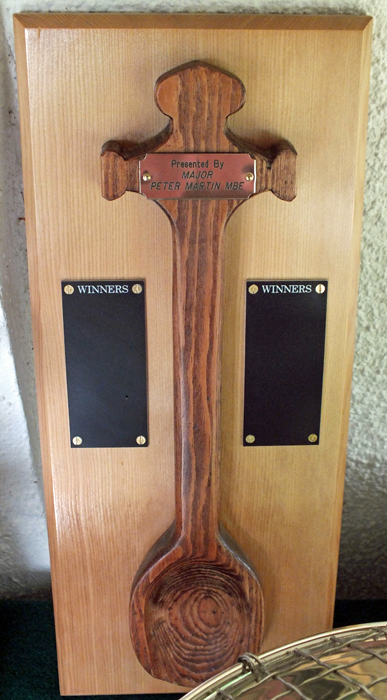 Donated to the association by SSRA President - Major (Retired) Peter Martin, MBE, in 2012. Awarded to an individual who is nominated by their club or discipline organiser, for any 'unfortunate misdemeanour' - nothing too serious, honestly. If there was a category in shooting for 'Out-Takes' or 'Bloopers' then this award would belong in that category. 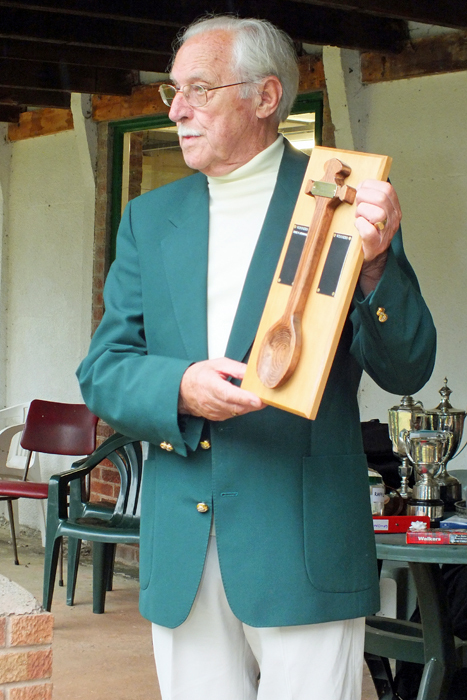 The recipient of The Wooden Spoon is decided by the Staffordshire Smallbore Rifle Association, with the Wooden Spoon being presented at the Staffordshire Combined Open Meeting. 2014 Major (Retired) Peter Martin, MBE - City of Birmingham 2015 J. Kemp – Rugeley R.C. 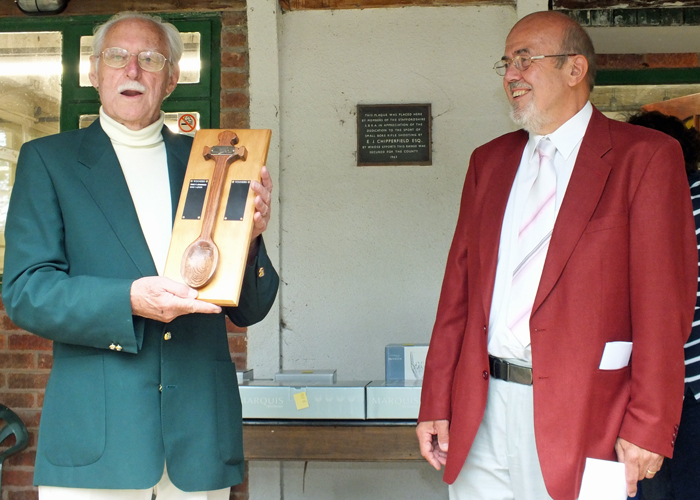 The above photograph shows SSRA Chairman - Richard Tilstone (pictured right), presenting the Wooden Spoon to Peter Dean (pictured left). 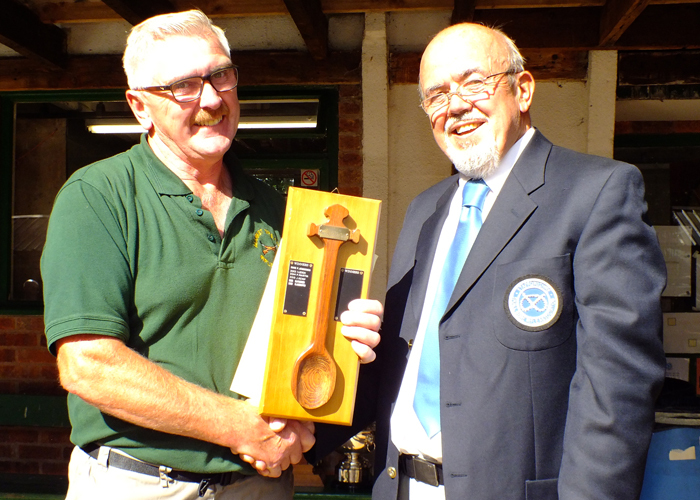 The above photograph shows SSRA President - Major (Retired) Peter Martin MBE, pictured left - presenting the Wooden Spoon to Gordon Abbotts, pictured right. 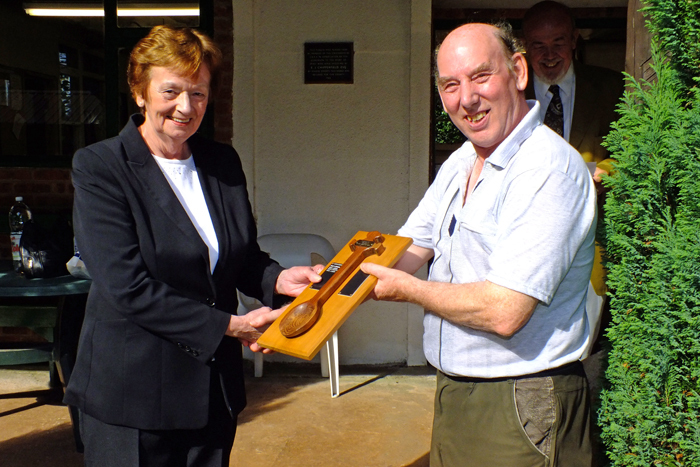 The above photograph shows Mary Jennings, pictured left, presenting the Wooden Spoon to Brian Parker, pictured right. 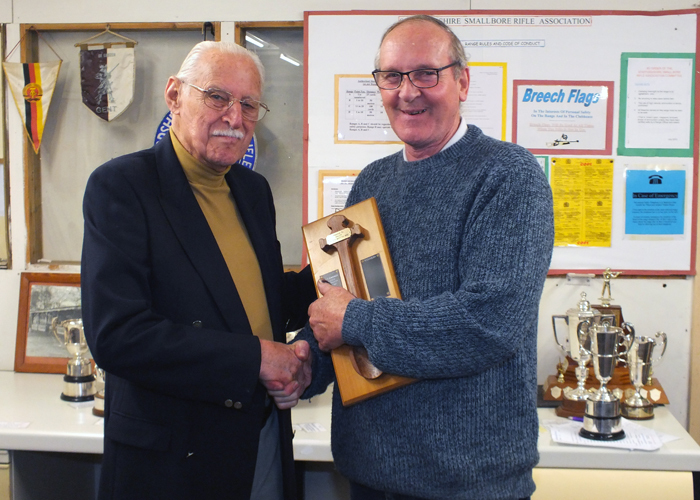 The above photograph shows SSRA President - Major (Retired) Peter Martin, MBE, pictured left, receiving The Wooden Spoon for 2014 from SSRA Chairman - Richard Tilstone. 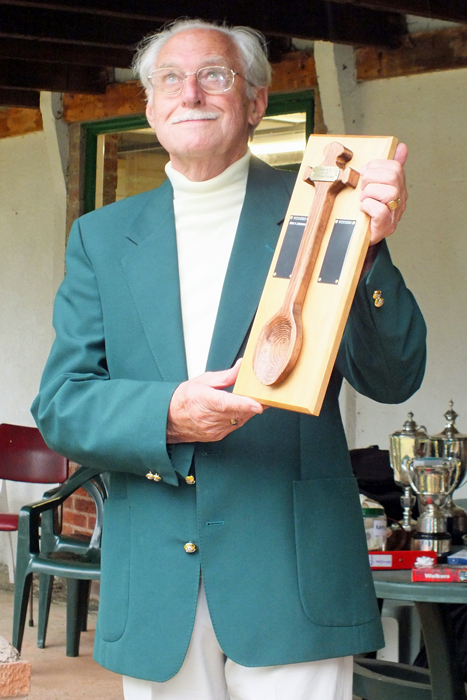 The above photographs show SSRA President - Major (Retired) Peter Martin, MBE., announcing I. Leigh as being the recipient of The Wooden Spoon for 2013.